According to the U.S. National Highway Transportation Safety Administration, nearly 250,000 children are injured every year in auto accidents. In the event that your child is injured in an auto accident, it is important to take the necessary steps needed to ensure the safety and well-being of your child and yourself. There are also many safety precautions available that can protect children from being severely injured in auto accidents. 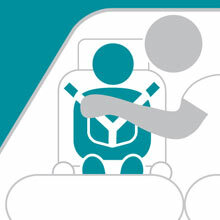 Buckling your children in safety seats and seat belts can reduce the risk of serious injuries, and sometimes even prevent them. Sometimes traffic accidents cannot be anticipated, in the event that your child is involved in an accident, it is important to seek medical attention immediately. Signs of personal injury can occur immediately following an accident, but can sometimes appear several days or weeks later. Even if your child does not appear to be injured, personal injury symptoms are not always immediately apparent therefore, your child must always be examined by a doctor following an auto accident. This is particularly important for young children who are unable to communicate pain well, waiting for your child to tell you that they are in pain is not recommended. Call Blick Law Firm today for a free case evaluation regarding your child’s personal injury claim. Attorney, Michael Blickensderfer has over 25 year’s legal experience, and is dedicated to providing the best legal representation to all clients. Think quick, Call Blick! after the accident. An auto accident lawyer is also necessary to ensure the protection of your child and yourself against an insurance discrepancy. If your child needs medical treatment, a traffic accident attorney can also negotiate your child’s medical bills, as well as additional value to your claim. This entry was posted in Blog, Personal Injury and tagged car accidents, car seat, car seat safety, Child Safety, personal injury lawyers. Bookmark the permalink.